Alameda County sheriff's officials have released additional photos of one of the two women who walked away from a minimum-security prison camp in Dublin on Monday evening. Sheriff's officials said on social media that Irene Alina Mitchell, 37, was spotted Wednesday in rural Livermore, but she remains at large. She is described as a Native American woman, 5 feet 8 inches tall, 180 pounds with brown hair and brown eyes and a tattoo on her neck that says "Adan." Mitchell was serving 110 months in prison and her criminal record includes theft, assault, fraud and identity theft in Montana and Washington. According to the U.S. Marshals Service, on Monday at 7:15 p.m. Mitchell and 34-year-old Anna Armstrong walked away from the Federal Correctional Institution at 5701 Eighth St. in Dublin. 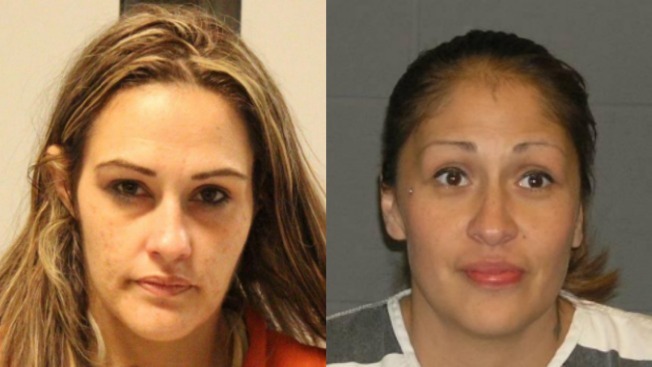 They were serving time on federal narcotics charges and are actively being sought by marshals as well as state authorities. Armstrong is described as a white woman, about 5 feet 5 inches tall, 175 pounds with brown hair and hazel eyes. She's serving 63 months in prison, and is thought to have ties to Lancaster in Los Angeles County and Yuma, Arizona. Anyone who sees Mitchell or Armstrong or has information about their whereabouts is asked to call 911 or the U.S. Marshals Service at (877) 926-8332. Tips can also be submitted anonymously online.